MainAll NewsInside IsraelIs Ehud Barak rejoining politics? Former Prime Minister Ehud Barak hinted that he is getting ready to rejoin politics ahead of the upcoming elections in April in what would be his first return to the political scene since his retirement in 2013. Speaking to the 103FM radio station, Barak said that only a broad center-left bloc would draw enough votes to end Prime Minister Netanyahu's decade-long stint as Israel's highest elected official. "For months I have been in contact with anyone who can be part of a center-left connection," said Barak. "We are in a truly fateful election campaign, and if Netanyahu is elected, he will not resign in any way and force a new government to sign the French Law" forbidding probes into a sitting prime minister. 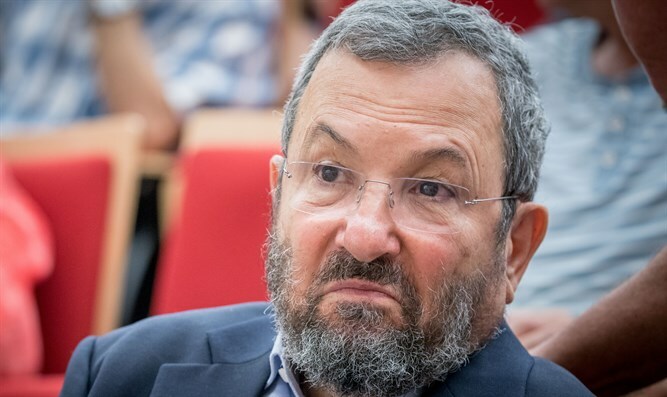 Barak added that "the only way is to replace the prime minister by creating a bloc that includes Tzipi [Livni], [Benny] Ganz, Bogie [Ya'alon], [Avi] Gabbay, Dan Meridor and if there is a need than me as well." "We need a bloc in order to bring about the change," said Barak. Barak had retired from political life in 2013 but has been rumored to be planning his return ever since. In recent months, Barak has been working to coordinate a merger of the center-left bloc in an attempt to bring the Left back into power. Last month, Barak met with opposition leader MK Tzipi Livni and former Defense Minister Moshe 'Bogie' Yaalon at his home in Tel Aviv. A week later, Barak met with Zionist Union leader Avi Gabbay. Livni has been outspoken in her desire to see such a bloc become reality. Ya'alon, meanwhile, had left the Likud after a falling out with Prime Minister Netanyahu and is considering his options after polls show that his party wouldn't pass the electoral threshold. Recent reports said that he is debating whether to join a party headed by former IDF Chief of Staff Benny Gantz.